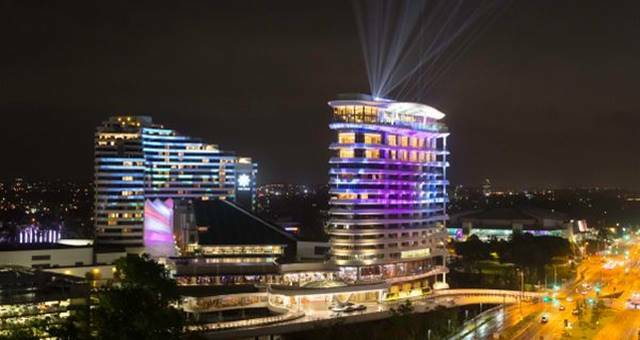 The Star Gold Coast’s new luxury all-suite hotel, The Darling, opened this week exclusively for Gold Coast 2018 Commonwealth Games representatives and stakeholders, ahead of welcoming its first public guests in mid-April. Around 250 guests, including celebrities and high-profile local figures, attended a red carpet event earlier this week, with The Star Entertainment Group showcasing the variety of luxury facilities that will be on offer to Gold Coast visitors. The new hotel forms the centrepiece of The Star Gold Coast’s expansive transformation and features 57 suites, ranging in size from 70sqm to a stunning 328sqm with wrap-around balconies. Each level features seven suites, beginning with 22 base rooms, the Jewel Suites, and 21 larger Stellar Suites. The hotel’s 14 most luxurious suites include four Penthouse Suites, three Penthouse Spa Suites and seven Penthouse Deluxe Suites which feature their own private Billiard, Media or Exercise room. Gusts will also be able to enjoy high-class gaming amenities and views of the coast from a luxury infinity pool, alongside a rooftop restaurant and bar. The Star Entertainment Group Managing Director Queensland, Geoff Hogg, said: “We began our transformation with the opening of multi award-winning restaurant Kiyomi in December 2014, and a fantastic team exuding phenomenal skill, passion and drive has seen our vision come to life perfectly. “We believed in the growth and future potential of the City and over the last three years have remained committed to delivering a world-class destination that will further propel the Gold Coast onto the world stage, while also staying true to the spirit of our unique surroundings. Eleven new food and beverage offerings, 596 refurbished hotel rooms at The Star Grand and a new premium poolside experience completes The Star Gold Coast’s multi-million dollar redevelopment.